About: Although the resort has been in operation since the 1920’s, as of 2016 it has come under new management. Your hosts Ralph, Helen and Samantha have been in the hospitality business for over 10 years, operating two properties in Abbotsford, Wisconsin. Their goal is to make your stay with us a pleasant and memorable one, and to have the pleasure of your company again in future seasons! 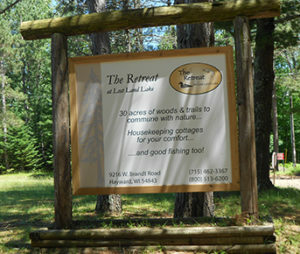 The Retreat is a perfect location for larger groups, families or events. Contact us with your needs and we will work with you on scheduling, pricing and details.